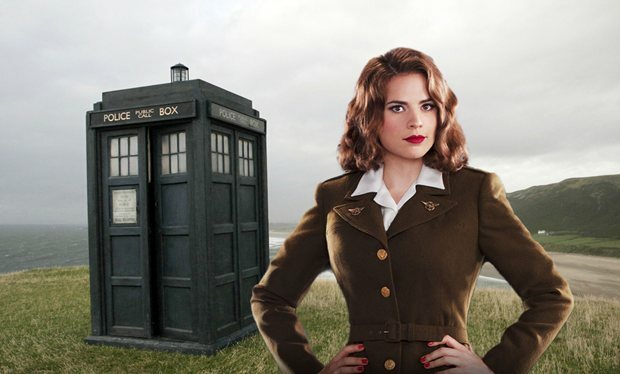 Doctor Who: Five Choices For A Female Doctor | Warped Factor - Words in the Key of Geek. I must stress that I am in absolutely no hurry for Peter Capaldi to leave; he is very much “the man of the moment” (let’s see if anyone catches that reference). But I thought it’d be fun to put across my views on the never ending debate of whether or not there should be a female Doctor. 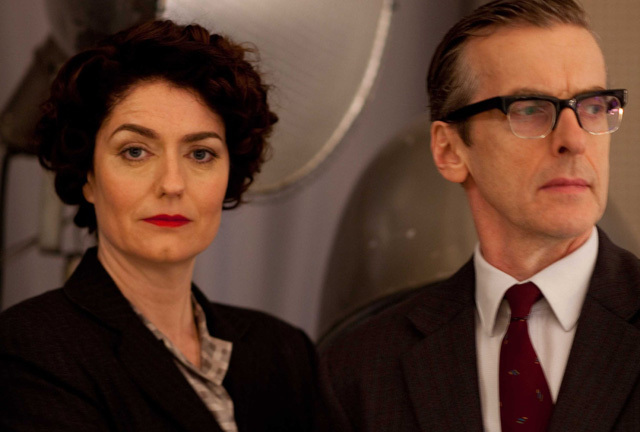 By the title you will probably have guessed that I am totally for a female incarnation of the Doctor and I strongly believe that whenever it comes to casting for the role, it should come down to strengths of the actor auditioning rather than their gender. Which is why I have produced this list of five actresses who I believe could convincingly pull off the role of the Doctor. As this can be quite a touchy subject, please remember that this is just my opinion; it’s perfectly okay to have a differing one. Doctor Who fans will already be familiar with Hynes having seen her as Nurse, Joan Redfern in 2007’s Human Nature/The Family of Blood and then later as her great granddaughter, Verity Newman in 2010’s The End of Time Part Two. I’ll be honest, I don’t really follow her work but her appearances in Doctor Who alone are more than enough proof that she has the strength as an actress to carry the role of the Doctor. Perhaps the writers could even tie in the Journal of Impossible Things to her Doctor’s story? Big Finish fans may also know Hynes from the brilliant Eighth Doctor audio story; Invaders from Mars. One of Britain’s national treasures who rose to fame through 1983’s Educating Rita; and more recently starred alongside the Twelfth Doctor, Peter Capaldi, in 2014’s Paddington. Walters is one of my all time favourite actors and despite being 65, she doesn’t appear to have lost any of her youthfulness. She has the ability to act seriously and is also a brilliant comedic actor! 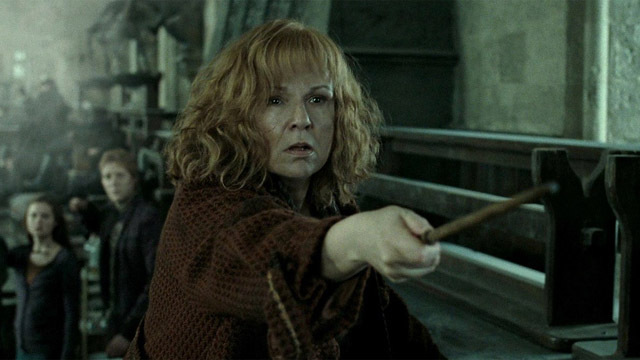 Julie Walters would be amazing in the role. If we never see Walters as the Doctor, I would at least like her to have a small role in the show at some point! Chancellor is actually my first choice of possible replacements for Jenna Coleman (mainly because of her amazing chemistry with Peter Capaldi in series 2 of The Hour, 2012) but when it came to planning this list her name popped up in my head again and I am now totally sold on the idea. I honestly can not see why it wouldn’t work, apart from the fact I’d also like to see her as the next companion… hey, that would be an interesting idea… she could play the next companion but then reveal herself to be the next Doctor. Moffat, make it happen! I have been crying for this to happen for a very long time, and if it wasn’t for my discovery of the actress who currently resides in the number one spot, Thompson would be there, so lets call this joint first shall we? Emma is quite possibly my favourite actress working today, she has such a tremendous range that she can easily cover all aspects of the Doctor’s persona. She is a fantastic comedic actress in films such as Nanny McPhee (2005) but is also phenomenal in her more dramatic roles in films like Stranger than Fiction (2006). I think she definitely has what it takes to play the Doctor, but if not, as with Julie Walters, I’d like to see her in the show at some point… maybe as Romana…? I’d like you to be Doctor Who too! I spent the last few weeks watching ‘Marvel’s Agent Carter’ with Atwell in the titular role, and I’ll be honest, I wasn’t hugely invested in the actual story line (perhaps another watch might be in order) but I kept tuning in for Atwell. She has such great screen presence, she’s witty, clever and is damn good in a bust up. In this series, her character of Peggy is subject to 1940’s sexism. This is something I’d love to see tackled in Doctor Who if we ever did have a female Doctor who traveled back to times where attitudes were different from today's. 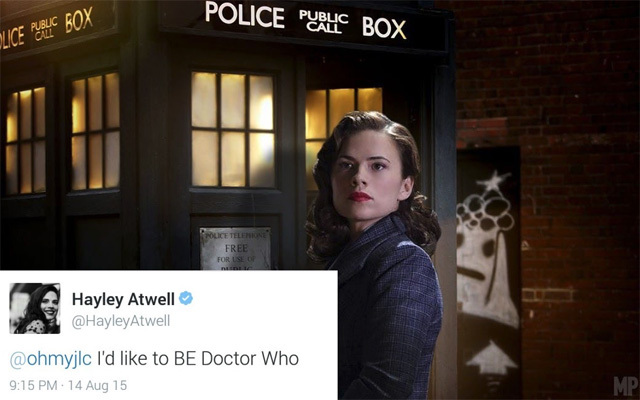 I think Atwell is the perfect actress to approach themes like that, especially after seeing how brilliantly she reacts to them as Peggy Carter. Where do you stand in the female Doctor debate? Do you think it would work? Who would be your choice(s)? Let us know your thoughts below.